An interesting pattern that I haven't come across before. Would really like to see the whole pattern ..... sometime. Will have to wait for more info to work out which one this is. Are there any backstamps on your set DaSiEm ? 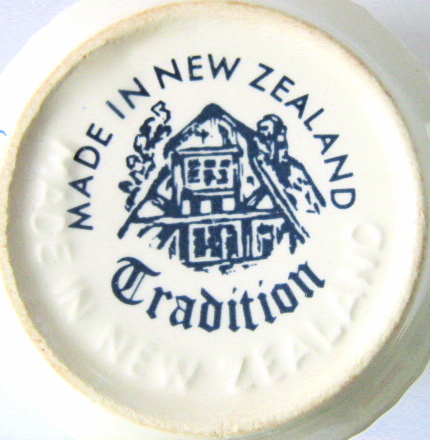 The saucer at the top has the house with Tradition Made In New Zealand on the base. My pattern is quite dark and has browns in it too. This is the best I could do I'm afraid. 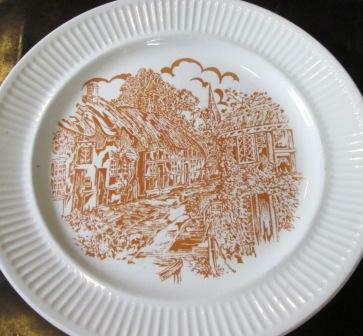 You can see the dark brown Tradition stamp with a house in the centre and the green 'Apollo' on a different angle with 'Genuine New Zealand Ironstone' beneath it. Here is another photo to add to this thread. Whilst all of the flatware has an Apollo backstamp under the Tradition design this cup that I scored today does not, no doubt, as most cups back in Apollo days at least , were not back stamped. Also, although Ev has given a design number d734 to the Blue version it is not apparent in this example and there is another bit of Crown Lynn sleight of hand it seems to me in that Cottage Brown 33020 & Blue (I don't have the #) are shown as the body designs in some of he sample pictured. 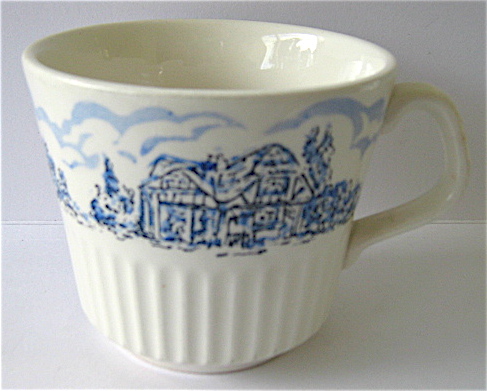 The cup designs look similar but are not and the cup back stamp is another architectural style again. 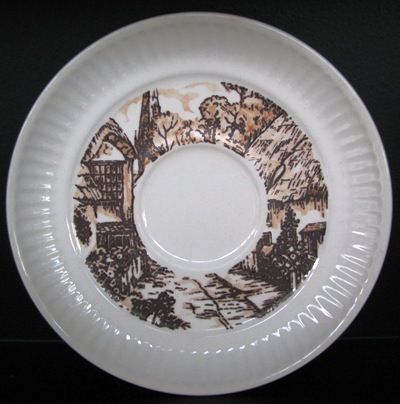 Clever design, as at first glance they all look as variations of the original English village with thatched cottages and a steeple in the background. 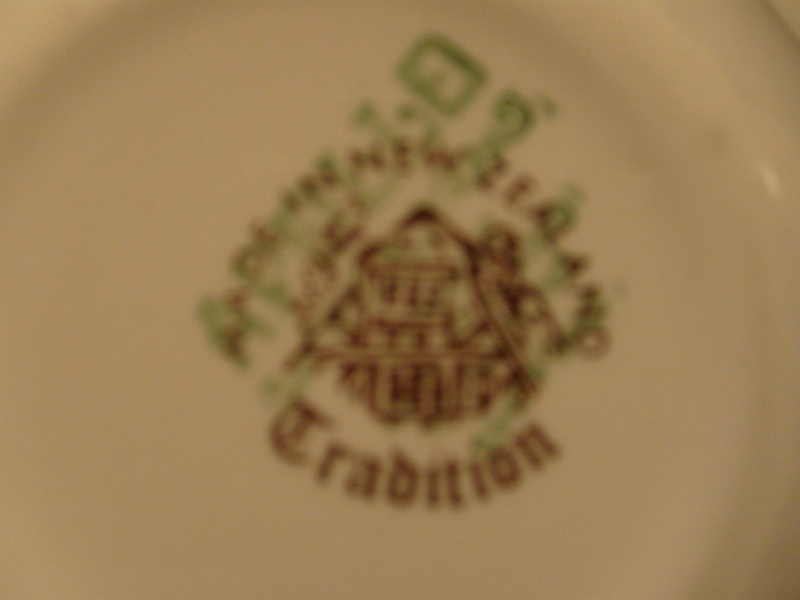 I've got a tradition plate with this double backstamp - will see if I can get a decent photo tomorrow. This could be cottage Orange - I will have to search my data to find if that correct.